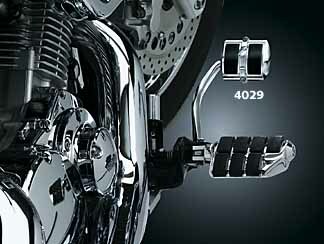 A slick little chrome and rubber clam-shell cover replaces the stock rubber pad on brake or heel shift pedals. This fits multiple bikes on either the shifter of brake pedal. See fitment below. Note: Shift position may need to be adjusted to accept P/N 4029 heel shift.